The world's largest coffee retailer, Starbucks, pulled itself out of the financial meltdown of 2008 by aligning its operations with customer demands through social media. The world's largest coffee retailer, Starbucks, pulled itself out of the financial meltdown of 2008 by aligning its operations with customer demands through social media. This case study looks at what the company did right to achieve this turnaround. 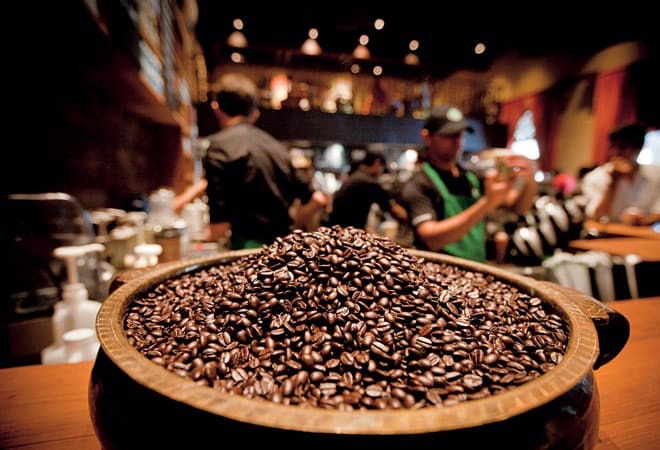 Founded in 1971 in Seattle, Starbucks is present in 50 states in the US and 43 countries. It is one of the most respected brands, winning awards such as "Best Business", "Most Admired Company", "100 Best Corporate Citizens" and so on. While its quality is unquestionable, its price has always been higher than those offered by the domestic coffee houses in various countries. This was one of the reasons why the company took a hit during the economic slowdown of 2008 as customers opted for cheaper options for their everyday coffee. Starbucks was forced to shut 600 shops that were not making profits. By March 30, 2008, its profit had fallen 28 per cent compared to the same period in 2007. In 2009, it closed another 300 stores and laid off 6,700 employees. On January 8, 2008, Howard D. Schultz returned as CEO of Starbucks after a gap of eight years, replacing Jim Donald. Schultz had nurtured the company since 1982 when it had only four outlets. He had served as CEO from 1987 to 2000 and had presided over the companys public offering in 1992. Branding unlimited: Starbucks cups on sale at a store. Upon coming back, he found that apart from the worsening economic condition in the US, the company's rapid expansion had distracted it from making its cafes an inviting place with new products. In addition, Starbucks also faced competition from McDonald's, which had, in 2008, started setting up coffee bars that sold espresso. Schultz shot off a letter to the employees on the day he took office once again as CEO. He said, "The company must shift its focus away from bureaucracy and back to customers." He made his objective very clear: "Reigniting the emotional attachment with customers. "The previous leadership had blamed the economy and the higher cost of dairy products for the slump in business. They had also stated this as a reason to hike prices. However, Schultz took an entirely different view of the situation. He told the employees, "The company shouldn't just blame the economy; Starbucks's heavy spending to accommodate its expansion has created a bureaucracy that masked its problems." In a departure from conventional strategies like "a redo of the store layout", Starbucks soon embarked on a technology-oriented strategy. An environment where employees could think freely about the organisation and contribute in terms of strategies and ideas was fostered. As a result, a community involvement concept was developed. In March 2008, "My Starbucks Idea" was rolled out for customers to exchange ideas with each other and directly with the company. As part of this, customers were able to give opinions on everything such as products, services, layout, advertising, corporate social responsibility, in-store music and so on. More than 93,000 ideas were shared by about 1.3 million users on social media, and page views per month rose to 5.5 million. After the 2007/08 crisis, Starbucks had to rebuild its customer relationships and show the world that it cared for quality and consistency. It also had to give a leg up to the altruistic component of the brand such as community building and care for the environment. Through the "My Starbucks Idea" customers had a direct link with the headquarters and of course Starbucks was listening. Soon Starbucks's ubiquity became an asset as customers from around the world had an opportunity to connect with each other, spawning like-minded communities like the 'free Wi-Fi group', 'soy group', 'comfy chair group' or 'frappuccino lovers'. Starbucks implemented over 100 ideas. Through this initiative, the coffee retailer built a robust fan base. By giving customers a platform to voice their ideas and views on the brand and by responding to it, it was able to reignite the brand trust. Starbucks soon realised that it had to project its 'cool' element via social media-based marketing. The organisation must never look desperate or too keen to increase its sales. So the company refrained from pushing too many products, causes or offers to its followers. The focus was more on building and engaging with the community. One of the accidental tweets from Starbucks was just a smiley face that received a lot of admiration from the community. Tweets such as 'keep calm and make coffee' is in line with its idea of keeping a cool image and building a community. Starbucks's use of social media points to the fine balance it maintained between spontaneous and well-planned posts. The social media platforms have also helped the company swiftly mitigate and manage any information that causes harm to its global identity. In 2009, when rumours of Starbucks's profits being spent on Israel army surfaced, the company used the social media outlets effectively to refute it and restore its image of a peace-loving organisation. The company embraced mobile apps much before its competitors. Very early in the race, Starbucks had linked its social media strategy objectives with technology channels like mobile apps. It was carefully designed to appeal to the masses and specifically to the segment that made up its online community. Through its iPhone app features like store locator, nutrition-based information and rewards programme, it integrated and enhanced its social media community fabric. The head start in technology adoption has helped the company come up with trend-setting ideas. One of them was the move to help its customers personalise the company's offerings. The initiative, 'MyStarbucksSignature' allowed consumers to develop their own signature drinks (hot or cold coffee), name the drink and share the new flavour with the community. In this way, Starbucks informs the consumer of the wide range of product offering they have at their stores across the world. It also shows the consumer how to order this cup and what it will look like. The only modification a consumer can do in his or her signature drink is in the ingredient mix and quantity. This way the supply network is only slightly disrupted at the retail and service end. Everything else related to ingredients and distribution remains completely untouched. In 2008, the marketing teams had started a promotion to increase customer visits to stores during breakfast hours. It included a free pastry with a coffee bought before 10:30 a.m. The initiative created traction online and over one million people across the US queued up at Starbucks outlets. Such social media promotions were much less expensive than the companys promotions at its stores or putting up billboards across cities. The awareness and response was also more than that from promotions through traditional channels like television advertisements. Employees and baristas too were always an integral part of Starbucks online and social media community. It has a separate page for its employees, which is used to generate and debate ideas. An example of employees contributing to its success is its Twitter page. The chain's voice on Twitter is 28-year-old Brad Nelson, a former barista. In 2008, when the company was looking for ideas to re-engage with its customers, Nelson suggested that he could begin a Twitter handle for the brand. Today, Starbucks has 775,000 followers. 'It is important for firms to evaluate what types of social media activities increase revenues,' says Anja Lambrecht, Assistant Professor of Marketing, LBS. The crisis at Starbucks was as much the result of the economic recession as due to the expansion of the store network in the previous years. To reconnect with its customers, Starbucks used social media to engage individual customers with its products and brand. 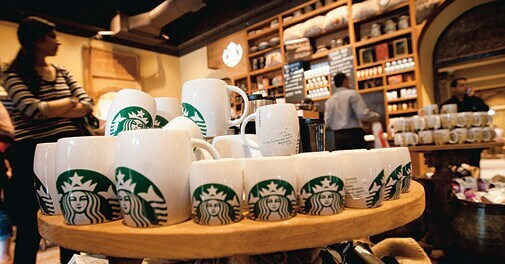 'My Starbucks Idea', set up for customers to exchange ideas, helped the company understand their needs and concerns. Such a strategy could have been dangerous if the company had ignored the customers' suggestions. But Starbucks was responsive and showed that it cared about their customers. The 'MyStarbucksSignature' initiative, where customers could create their own personalised drinks, showcased the Starbucks assortment, created an interactive experience that involved customers in product creation and taught them how to order such drinks, while making it a fun activity that can be shared with friends. Again, there could be operational pitfalls. If customisation slows down in-store processes, such initiative can be unsuccessful. So Starbucks integrated 'customisation' into its existing processes. While in the past, Starbucks, as well as other companies, have implemented social media activities, it remains challenging for many to understand the effectiveness of individual social media activities. Even for Starbucks it may be difficult to judge the relative effectiveness of the individual marketing activities since many were implemented at a time when it was closing down a number of stores. Going forward, it becomes important for firms to evaluate what types of social media activities actually increase revenues. Nonetheless, the case showcases how social media can be used to reignite a brand - especially if the company manages to align its operations with changes to customers' demand for products. 'This strategy has led to a large online community that influences the company's product strategy'says Tripti Lochan, Chief Executive Officer, VML Qais. Co-creation for co-creation sake has little meaning; it needs to be tightly aligned to your business objectives. For Starbucks, understanding its own challenges in the face of the downturn, and the crystallisation of its needs to innovate led to a brilliant move: social co-creation. This strategy has established a large active online community that influences the company's product strategy, and gathers suggestions on every aspect of its operations. But just having a phenomenal community of product co-creators does not mean that all problems can be presented to, and solved by, the same community. Starbucksâ„¢ Shared Planetâ„¢ is the company's commitment to do business in ways that are good for people and the planet. When Starbucks needed to tackle a specific complex problem - reducing waste generated by its disposable cups - it recognised that the same community that it was engaging with in its ideation site, My Starbucks Idea, was not helpful. Starbucks soon realised that when it comes to co-creation, the platform you need very much depends on the problem you are trying to solve. It needed an audience that cared about the issue, a new strategy and a new technology. Eventually, Starbucks teamed up with Mutopo, a social co-creation agency that led a group of environmentally conscious, social-media savvy entrepreneurs to solve this problem. Starbucks' ability to use technology to capture ideas, votes, and comments from its three key broad participant groups - customers, employees, and partners - has created value for the company. It is amongst names like Lego, Ford, and Verizon, who are driving innovation as a sustainable value creation strategy. Starbucks is a company to watch out for as its continues to innovate; a story where every customer is a stakeholder and very vested in the company. Starbucks is a great example of a brand turning around its business by returning to its roots and reconnecting directly with its customers. While many companies are struggling to get back to pre-2007 financial figures, Starbucks has shown that people are willing to spend $5 or 3 pound every day on their latte and tweet about it too.